Here's my Dennis Bryant Chipmunk thread. I have everything to build it (except the hinges which Danny is taking care of). Mine will be a bog-standard RAF trainer in late 50s/early 60s decor. The Chipmunk was a work-horse and provided thousands of pilots with their ab-initio training, that's what I wish to represent. However I'm doing absolutely nothing about it before October, there are far too many things going on in the meantime! Can't fault that Colin, it was built for a purpose, not just for modellers to copy. A nice simple scheme will be all the better to show off the detail and no need to have everything cast in stone before the off. I am glad you are joining in Colin, should be a great deal of fun and the wealth of knowledge you and the other builders bring, should make from some interesting ideas. Hi Danny. I've got the plan, wood pack, canopy, cowl and the build DVD. I'm not sure that when the Polish chap in Canada whose name I've forgotten designed the Chipmunk, was thinking that us making models of it nearly 70 years later was his first priority! However, we enjoy it and in so many cases it's is us that keeps these things alive long after they would otherwise have been forgotten, although to be fair it looks as if real Chipmunks will still be flying long after I'm gone! This will be an interesting exercise for me, I'm still tempted by the idea of using a petrol engine, but we'll see. I feel a little left out...I'm doing the Airsail Chippie and will be doing this one which I flew in many times whilst stationed at RAF Gatow. Knowing a tiny bit about the activities of the Chipmunk pictured above, do you have some interesting stories to share from your time there, Tony? I was an MT Driver out there for 5 years.....I was the station commanders driver and also an aircraft refueller amongst many other duties...some hush hush Now I used to pester the Group Captain about wanting to go flying and he took me up so many times I got to the stage of landing it unaided !!! As an ex Buccaneer pilot he used to love flying the Chippie and it was the only flying he got to do...apart from with 7 flight AAC and their Gazelles. I won't hijack Colin's thread so I'll post a thread about this Chippie and put some personal pictures up later. Tony, sorry at present I don't have anything. I'd like to do the one I flew in during ATC summer camp at RAF Waterbeach in August 1961. The pilot was an exuberant USAF fighter jockey on secondment, flying Javelin FAW9s from that base. He gave me a full aerobatic schedule and really worked the Chipmunk out, a great experience for someone who was 15 that month. Sadly I lost my ATC log-book years ago and don't know what the serial number was. I do remember that it had dayglow patches on it, something completely new to me at the time. I need to see if I can narrow down the likely serial nipjmbers, I think there were 2 Chipmunks doing the air experience flights. I don't know if they were based there, but I suppose it's likely that they came from Cambridge University Air Squadron. I just don't know, but hopefully I can get close to it and at least get the colour scheme right. Thanks Nigel, now there's pressure for you! Colin, annoyingly I also mislaid my ATC logbook. 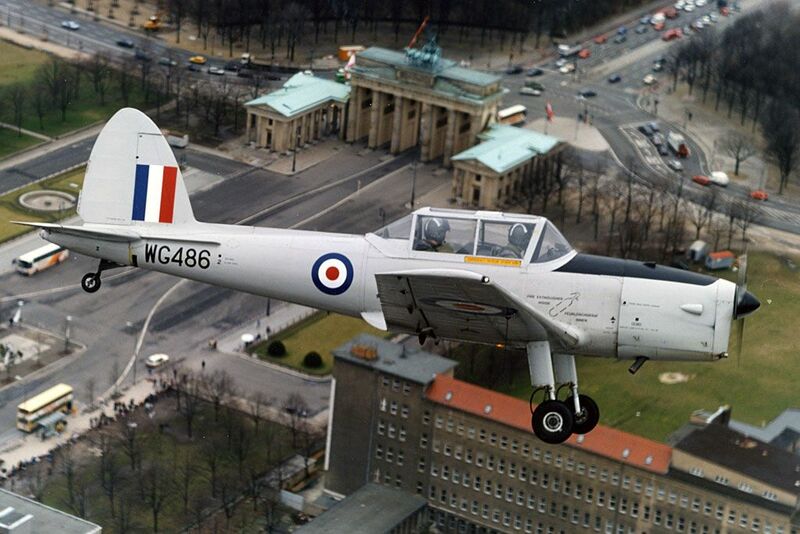 I would love to set about acquiring a set of pics showing the aircraft in which I flew as a cadet. A nice little research project. More importantly, like you, if I knew the serial number I might be able to research and ascertain the colour scheme. of my first "Chippy". I can remember the aeros like it was yesterday.Being invited to fly it back to Marham, investigating the controls as we went, is very memorable. But of that bl**dy colour scheme - I have absolutely no recall. Having built the odd Dennis Bryant design, I'll certainly be looking in here from time to time. Will you be cutting your own bits or acquiring the cut parts set Colin? Hi Andrew and Percy. Andrew, starting with Marham and the year you were there, you might be able to narrow down on the likely serial numbers, there may only have only been a couple of Chipmunks on station for the AEF flights, as there were at Waterbeach just two, WK624 and WP848. Percy, I've taken advantage of the Selec offer and got the lot, plan, pre-cut parts, cowl, canopy, magazine and the CD. Just got back from Greenacres and collected the pre-cut hinges from Danny Fenton. Life's hard enough, so I'll grab any chance to ease the pain! Hope you had a good day at Greenacres and thank you for your idea to make a start on tracking down potential serial numbers. I shall give it a go next week. By the way Colin. If you haven't already remembered it, the DHC1 was designed by Wsiewolod Jan Jakimiuk. He was apparently previously the chief designer at PZL. Don't ask me whats happened above!! Thanks Andrew, that's the name! I'm watching you chaps with interest, hope to get started before too long. I'm a bit short of time again and right now pre-occupied with making a take-off trolley for the Seafang, I've never made one before. I don't want to start until I've finalised my decision on the power system. Can't get worked up about using electric on this one and having eliminated the petrol option, I'm back to four-stroke for long engine runs and a decent sound. From everything I've read so far, this design doesn't need to be over-powered and even the original build article in RC scale described that it was very lively on an OS70FS. Bearing this in mind, the fact that engine design has moved on again and I want something clean running, I'm getting drawn to the idea of splashing out on the new OS FS62V. I'm sure that it will have power to spare and it's interesting to see that it will swing a 14x6 prop. Do any of our colleagues on this build have an opinion on this line of thought? Oh, goodie, I won't be the last to start. I might even get a bit of gluing done this evening. Wow Colin that'll be different! Can't help you with advice but it would be a bit special wouldn't it? All Forum Topics > Chip Shop > Colin Leighfield's Chipmunk build.